The Postmark iOS app will store credentials for your connected accounts and app preferences in iCloud when your device is connected to an iCloud account. If you’d like to delete all data the app has stored in iCloud you can do so from the settings screen. 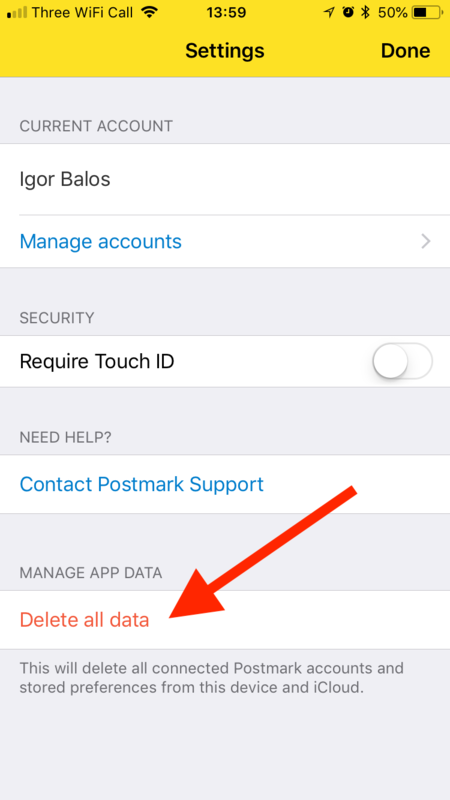 Tapping this button will remove all data from the Postmark iOS app on the device, and any other devices connected to the same iCloud account.